Till few years ago, 80 per cent people in Khudradadhi were mainly into agriculture. However, after the introduction of Below Poverty Line (BPL) cards, the scenario has changed. Since, now people get grains at subsidized prices, there has been a drift in occupations. Fishing, working in brick-kilns and going to the city as casual laborers are the prime occupations now. Only 10 per cent people practice agriculture and this has obviously led to a lack of diversity in the food basket. Not all vegetables are grown and those that are grown are sold at high prices, even in the village. "This changing trend has obviously affected the health of the children living here but has also been one of the main reasons why they come to school regularly. They come for food", says Hareshwar Deka, Head Master. Established in 1982, the Khudradadhi Lower Primary school has an enrolment of 92 children this year. "There isn’t much to eat at home; it’s mostly rice and potatoes, which is why the health of the children is very average. I must say it is slowly improving now because of Akshaya Patra food. The variety of food served ensures children get their required proteins and nutrition", says Hareshwar Deka. Pithali, a student at the Khudradadhi Lower Primary school starts her day at 6 am. 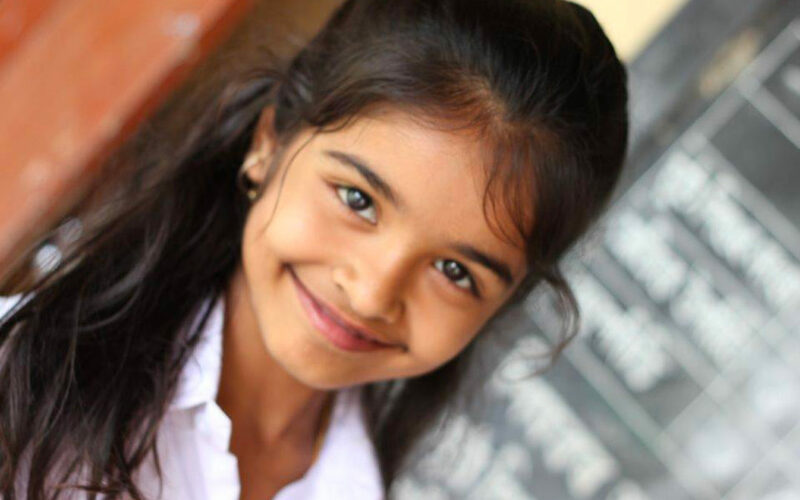 Studying in 4th grade, she does all the household chores along with her elder sister before rushing to school. Her father, a seasonal mason has gone without work for as long as 4-6 months sometimes and her mother stitches mekhala chadars (a traditional Assamese outfit). With a monthly income of INR 2500 – 4000, it is difficult to sustain a family of five. Their two meals mostly comprise of rice, yellow dal and potato curry. "While I enjoy Akshaya Patra’s food on all days, I look forward to Wednesdays and Saturday’s especially. They give us pulao, khichdi and kheer – all of which are my favorites. At home, Ma doesn’t cook these delicacies. We can never afford to." She hopes to become an actress in Assamese movies and travel the world with her family one day. As Pithali walks away to her classroom, Hareshwar says proudly, "I forgot to tell you; all girls of Khudragadhi are enrolled in the school. Getting them to school is the most difficult task, but food has made it happen. Now, we’ll ensure we build a bright future for them."